When you can’t find the right words to say, a comforting gift can go a long way. Our collectible figurine from Willow Tree® lets you share a loving embrace with someone you care about after the loss of a pet. This beautiful expression will find a special place in their heart and in their home as it helps them heal. 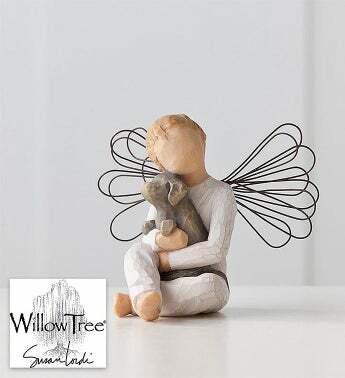 About Willow Tree® Created by artist Susan Lordi, this line of hand-carved sculptures represents the qualities and sentiments that bring us closer to others.